Robert Wise Obituary - Gardner, Kansas | Bruce Funeral Home, Inc.
Obituary for Robert Joseph Wise Sr.
Robert was born December 1, 1925 in Olathe, KS to Harvey George, Sr. and Josephine M. (Meyer) Wise. 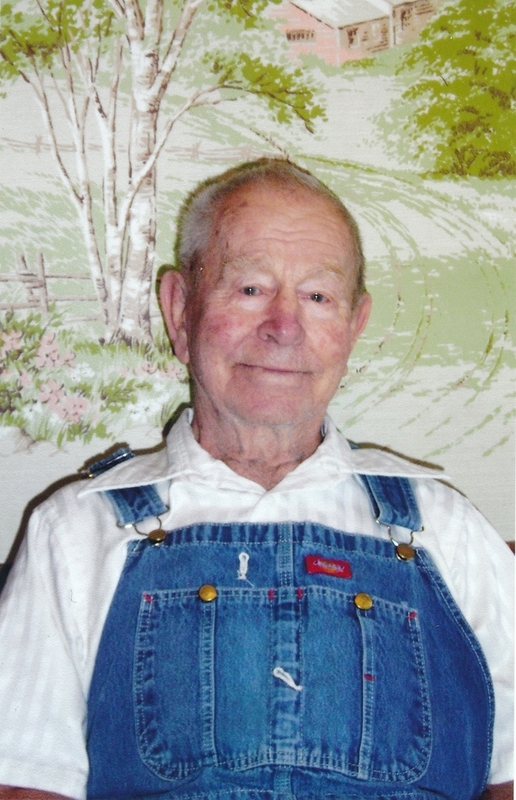 He was a life-long dairy farmer in the Lenexa, Olathe and Gardner areas. He also worked at the Delco-Remy battery plant in Olathe. On October 20, 1951, he was united in marriage to Elfrieda Marie Eubank in Shawnee, KS. They lived in Olathe until moving to Gardner in 1974. Robert will be remembered as a father who taught every one of his children how to work hard, for working hard seemed to be one of his main qualities and joys in life. He will be missed by family and friends. Robert was preceded in death by his parents; wife in 2011; son, Paul Wise in 1978; sisters, Rose Brown and Patricia Haefele and brothers, Charles Wise and Harvey Wise, Jr. He is survived by sisters, Mary Redd of Lenexa and Judy Huskinson of Warsaw, MO and fourteen children: Joseph A. Wise of Gardner, KS, Robert J. Wise, Jr. and wife Rebecca of Buffalo, MO, Connie M. Ryan and husband Bill of Shawnee, KS, Elizabeth A. Hiatt and husband Bobby of Paola, KS, Nancy J. Archer and husband Jim of Gardner, KS, Louise J. Holton and husband Terry of Tonganoxie, KS, George H. Wise of Gardner, KS, Ralph E. Wise of Edgerton, KS, Andy J. Wise of Gardner, KS, Mark A. Wise of Gardner, KS, Fred A. Wise of Wellsville, KS, Steve T. Wise and wife Deborah of Eudora, KS, Darrell W. Wise of Gardner, KS and Peggy S. Rucker and husband Tom of Gardner, KS. He is also survived by 25 grandchildren; 31 great-grandchildren; many nieces and nephews and other family and friends.